Yorktown, NY (October 7, 2018) – Police say that three people were ejected from a vehicle in a rollover accident that took place last night, October 6, on the Taconic State Parkway in Yorktown. Police are not sure of the extent of the injuries at this time but some were serious in nature. At the time of the accident, which took place around 6:30 p.m., all southbound lanes from Baldwin Road to Underhill Avenue were closed. Police reported that the right lane reopened about an hour later and was the only lane open until the investigation concluded around 10:30 p.m.
We wish to extend our sincere thoughts and prayers to the three people who were seriously injured in this accident and hope that they will be able to recover quickly and efficiently. 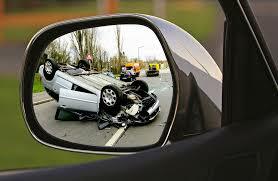 Some accidents on New York roadways are deadlier than others, and rollover accidents are at the top of the list. When somebody has been involved in a rollover accident, there is a good chance that they will receive a variety of serious injuries such as broken bones, head trauma, organ damage, and more. If you have been involved in one of these accidents, you might wonder what rights you have if you decide to bring a claim against another party. If you are able to prove another party liable for your injuries, you have a right to bring a New York personal injury claim against this party. At Hach & Rose, we are here to offer you a listening ear when you decide to move forward with a claim. Do not hesitate to reach out for us at 212-779-0057 to find out how we can play a role in your case during this difficult time.